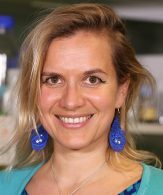 Claire Wyart did her PhD between 2000 and 2003 in Strasbourg University in Biophysics working on small networks of controlled architecture. She performed her postdoc in UC Berkeley from 2005-2010, developing optogenetics in vivo in the zebrafish larva to probe the circuits underlying behavior in experimental models. Since 2011, she has lauched her team in the ICM with the label ATIP/Avenir, the ENP Chair of Excellence and the Emergence prize from the City of Paris. Biophysique, neuroscience, physiologie et imagerie. To study how inner physiological states via neuromodulation and release of peptides change the activity of RSNs and CSF-contacting neurons. To pursue the investigation of the mechanisms linking CSF and body-axis formation, scoliosis and host defense. To constitute new translational paths involving the Prof. Moussellard in order to provide new insights into the mechanisms of recovery after torsion of the spine, spinal injury or pathogen invasion in the CSF. Desban, L, Prendergast, A, Roussel, J, Rosello, M, Geny, D, Wyart, C et al.. Regulation of the apical extension morphogenesis tunes the mechanosensory response of microvilliated neurons. PLoS Biol. 2019;17 (4):e3000235. doi: 10.1371/journal.pbio.3000235. PubMed PMID:31002663 . Wyart, C, Thirumalai, V. Building behaviors, one layer at a time. Elife. 2019;8 :. doi: 10.7554/eLife.46375. PubMed PMID:30945634 PubMed Central PMC6449080. Wyart, C. Taking a Big Step towards Understanding Locomotion. Trends Neurosci. 2018;41 (12):869-870. doi: 10.1016/j.tins.2018.09.010. PubMed PMID:30471663 .